A list of Puffy Eye Remedies for banishing the dreaded eye bags. Morning puffy eyes are the bane of my life. The eyes are the windows to the soul and my windows look knackered. I’ve tried loads of stuff, expensive creams, cheap ones, all those daft hacks you read on Pinterest. While I haven’t found a magic bullet as yet, there are a few things that show promise. 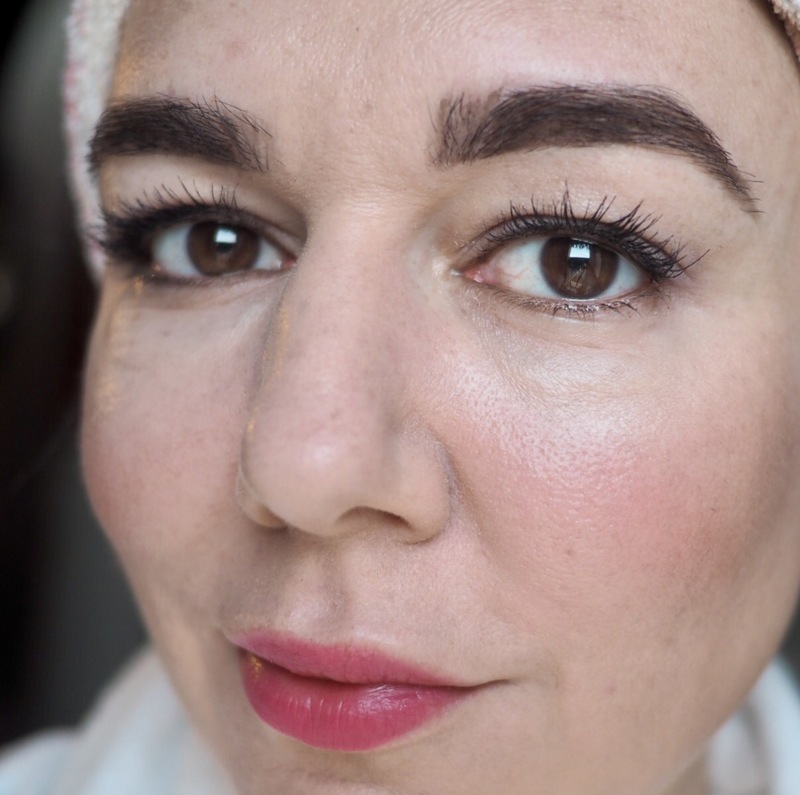 Here is my list of products and tricks that you might find handy when you’re trying to look like you’ve had more than a couple of hours sleep. My eyes at maximum puff, oh the shame! It may be not just a bit of puffiness, if you always have bags under your eye and it never fluctuates, it could be fat deposits. If the fat pads under the eye have slipped, then surgery or fillers are the best treatment. There are some less common medical conditions that cause under eye puffiness. I won’t go into those. If you’re worried, see your doctor. Yes, makeup does help but eye bags are three dimensional things, makeup can only do so much. I’ve had some luck with massaging eye creams into my under eye area. The pressure from the massage helps as does moisturising the skin under the eye. Crinkly dry eye skin is going to make the bags look worse. But you don’t want to irritate the eye bag with heavy fragranced creams, so you need to choose a light unfragranced cream for the eye area. 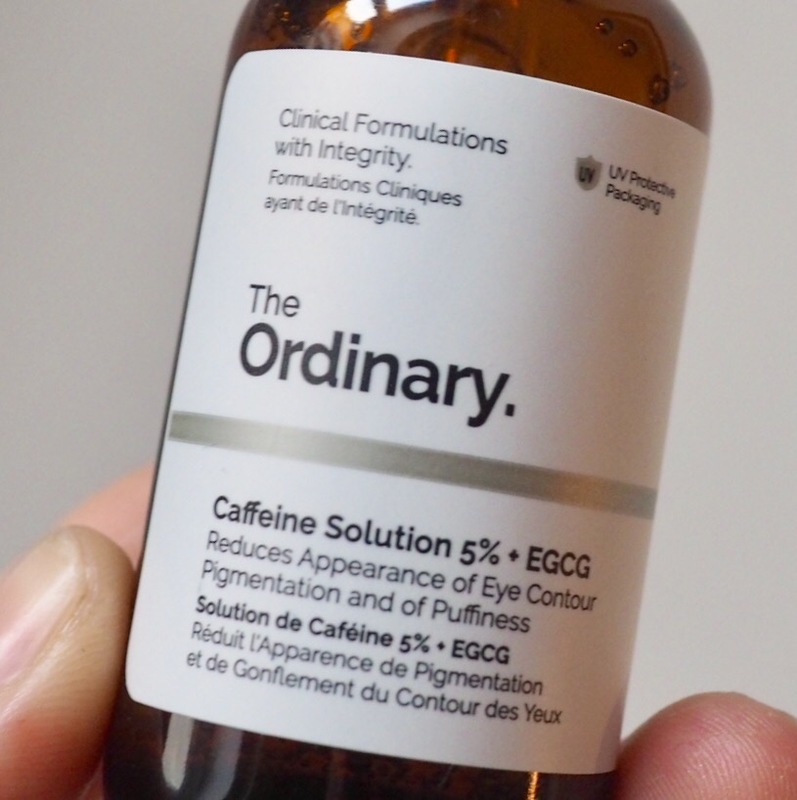 There has been some research into caffeine as an active ingredient in eye cream. Caffeine is meant to constrict the blood vessels and bring down the swelling. The results of the studies have been mixed, you might find the caffeine helps or you might not. 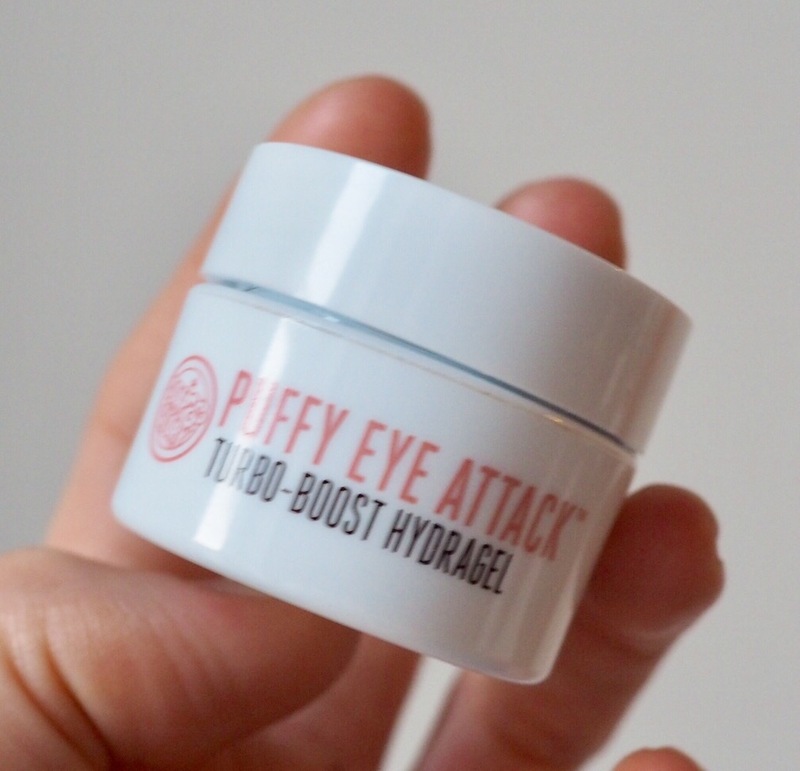 My picks for under eye products include Soap and Glory Puffy Eye Attack and Caffeine Solution by The Ordinary. They are both unfragranced, light and contain caffeine. One thing I definitely wouldn’t try is Preparation H- Don’t put haemorrhoid cream on your under eye! Update- I have had some success recently with Hylamide Sub Q Eyes, it fights all the signs of undereye aging and had really helped calm down my puff. Cold Compress– This stands to reason, the coolness will constrict the vessels and the pressure reduces the swell. You can try refrigerated teaspoons, tea bags (they also contain caffeine), cucumber slices. I don’t have time to sit about with cucumbers on my face every day, but if you do, good on you. 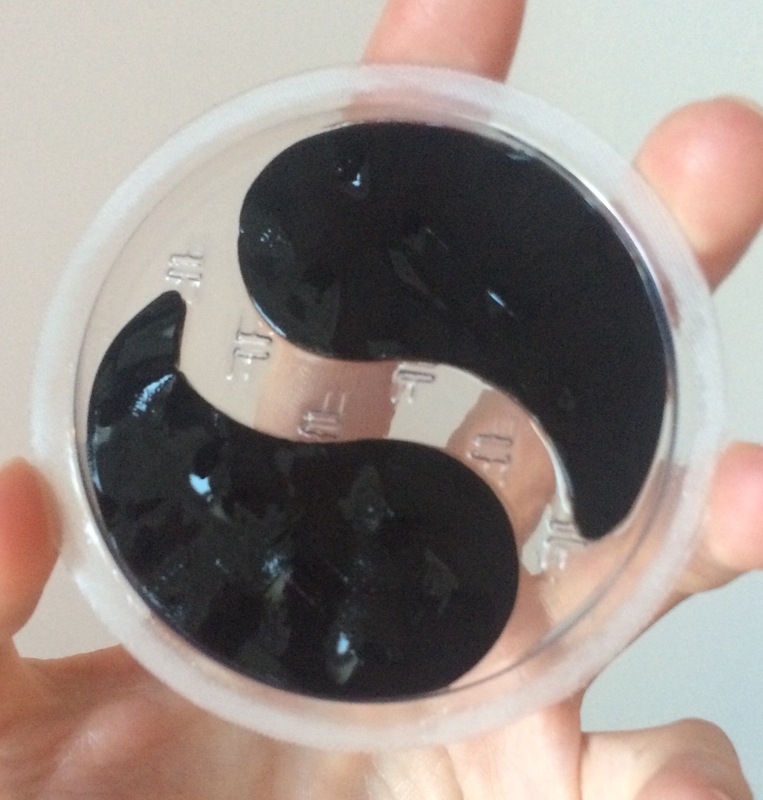 Eye masks– If you’re into your Asian Skincare then you’ll be familiar with depuffing eye masks. They contain active ingredients that reduce swelling and hydrate the skin. They can be worn for half an hour or overnight. I have had some success with these, but again, they’re time consuming. I like Filorga Optim-eyes patches. They do a good job of bringing down eye puff and they’re cool looking. Bit expensive though at £38 for 8, they’d be good for special occasions. 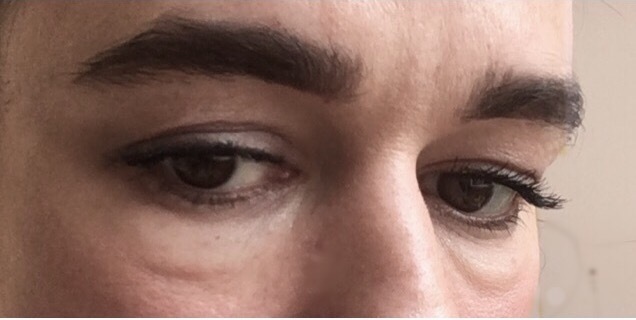 Fillers– dermal fillers can be a reliable way to fix under eye bags in the right hands. You need to first find a practitioner with experience in this area. They will inject temporary dermal fillers into the under eye area to create a smooth profile and disguise the eye bag. Fillers last about a year, so you’ll need the procedure repeated regularly. The tricky part is finding someone experienced enough to do it. Definitely do your research before going under the needle. Surgery– You can get the fat from under the eye removed surgically. I’ve often thought about surgery but the idea of post op down time and complications really puts me off. Elevate!– Try putting more pillows under your neck when you’re sleeping. This will help to drain fluid from your face while you sleep. I find my right eye bag puffs up if I sleep on my right side, sleeping on my back propped up slightly really helps my morning eye puff. Cut out diuretics– Diuretics including salt, caffeine, alcohol can increase fluid retention and worsen eye bags. I like salt, caffeine and alcohol though so I haven’t exactly given this tip a thorough enough try. I definitely try and drink plenty of water as this will help reduce water retention. Consider allergies- Could you be reacting to something that’s causing the swelling? You could be allergic to feathers in your pillow, or your fabric softener. Try switching things up a bit to see if there’s something triggering the puff. Have a good skincare regime– Making sure that your entire skincare regime is right for your skin will help the texture of your under eye enormously. I switched face cleanser recently and the new stuff turned my face into a dry spotty mess, and my eyes looked like scrotums. If skin is dry the under eye is the first place to show. 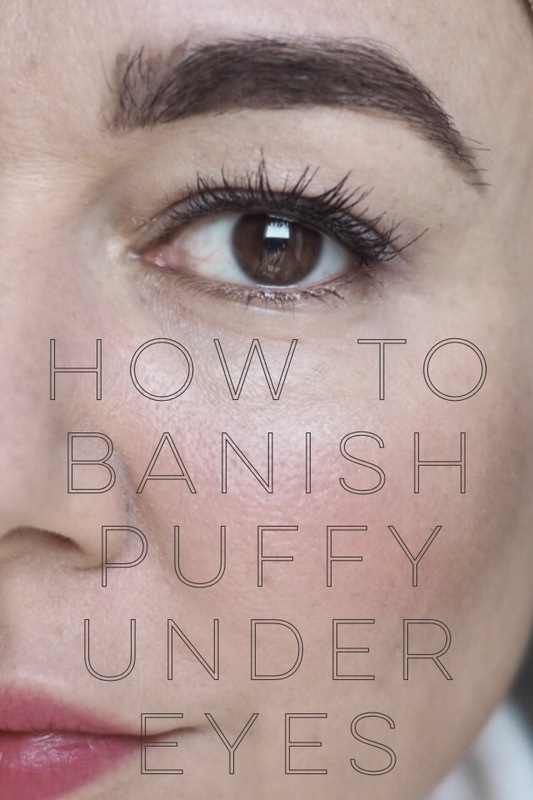 Puffy under eyes are a tricky problem to tackle. I’ve really tried a lot of things and although most of them help, I really haven’t found an absolute solution. Hope these puffy eye remedies have given you some inspiration. If you have a sure fire eye bag cure please please tell me about it! Yes, under eye bags are annoying! Mine are hereditary and so I know them too well. In my case, skincare doesn’t help very much; the most important things that help, are a very correct eating and drinking regime (however I won’t stop drinking coffee/ bear/ prosecco); exercising helps, too because it improves circulation in the face as well. Also the pressing points around the eyes and keeping the eye cream/ serum in the fridge. I’m seriously considering fillers.